"Eti Popkek Mini, the smallest minis of cake world. 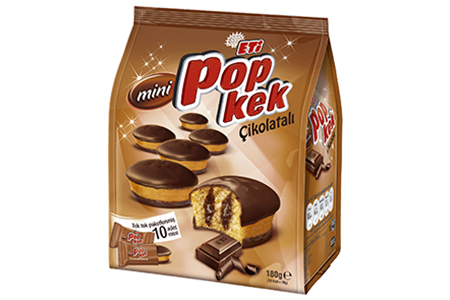 You can not fool them; saying “Eat my cake, don't fool me” Eti Popkek Minis are always with you and know everything. But you can eat its delicious cream, tasty chocolate coated cake melting in the mouth either one by one or in 3 or 5. "